Henry Cavill News: We're Calling It: It's Officially A SUPER Thursday! We're Calling It: It's Officially A SUPER Thursday! 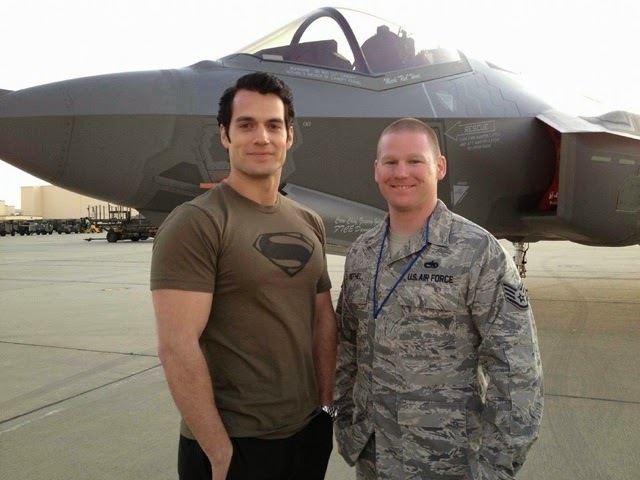 I met this guy at Luke Airforce Base and he met Henry Cavill aka the Man of Steel. That makes 2 degrees of separation. Getting closer. We love it all. Love the hair, love the muscles, LOOOVE THE SHIRT. You just made these Man of Steel fans very happy. Thanks Consuella! Let's see... I like the just rolled out of bed look, wouldn't we have children with beautiful hair? look, and the straight and polished look. Although, I think when he's looking smart and intellectual is when he's at his sexiest - so when he speaks, the nice hair is a bonus. good Viva Video Pro release obtainable as well. visit this site Employing this program edit New 12 months get together video clips, Viva Video APK nice.